Hey Sound Folks of the internet! It's been a few months since I have released a new library. Thank you for checking out my libraries! I really appreciate it. I haven't really been attentive to the whole social media aspect since I launched All You Can Eat Audio, but I'll try to send out more updates. We'll see if I keep up with it. Non-Engine Sonata Noises is the ninth sound effects library produced by All You Can Eat Audio. ALL YOU CAN EAT AUDIO GRAND OPENING! My name is Jeremy Zussman. I am a foley artist, sound designer, field recordist, and all around sound geek. I started All You Can Eat Audio to help fuel my obsession with creating and performing as many sounds as I could with different objects. I am proud to officially announce the Grand Opening of the All You Can Eat Audio Sound Effect Libraries. This Collection of Sounds, bundled in up in a hopefully neat and helpful package, won't be your ordinary library. These libraries are your average every day objects, but with a twist. The packs will have the sounds you expect, but also the sounds you won't expect. This could possible be a creak, squeak, or a strange noise. Now time for the good stuff. I am excited to finally release a boat load of libraries I have been working on the past few months, remastering, repackaging, and of course, recording and editing new libraries. Not to mention a redesigned website! Check it out, explore, let me know what you think! 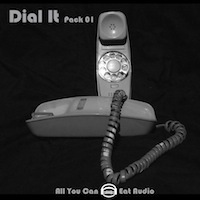 Thank you for taking the time to read the first of the All You Can Eat Audio Blog. I really appreciate it. If you want to get in touch, or have any feedback on the site or libraries, let me know!